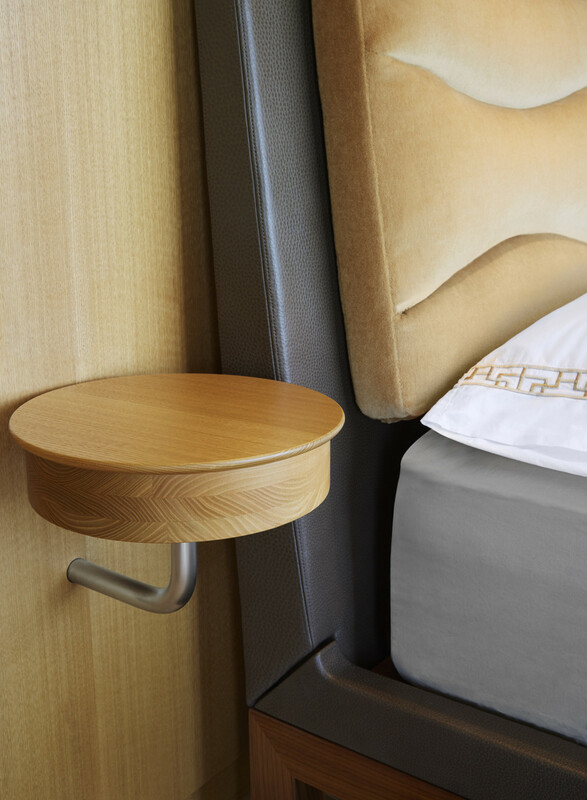 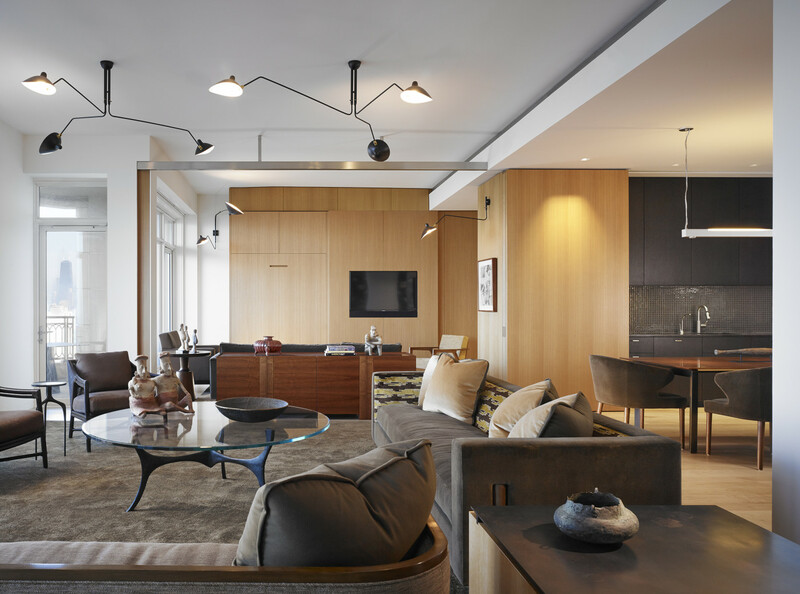 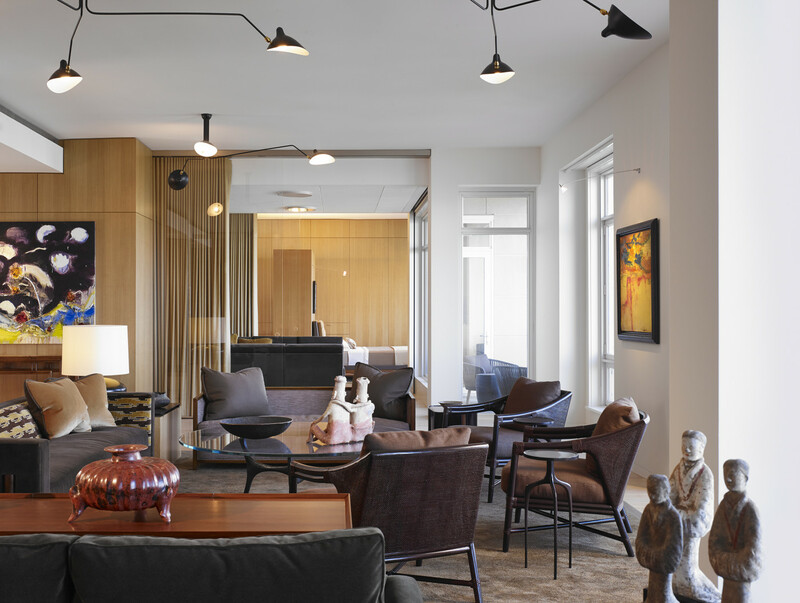 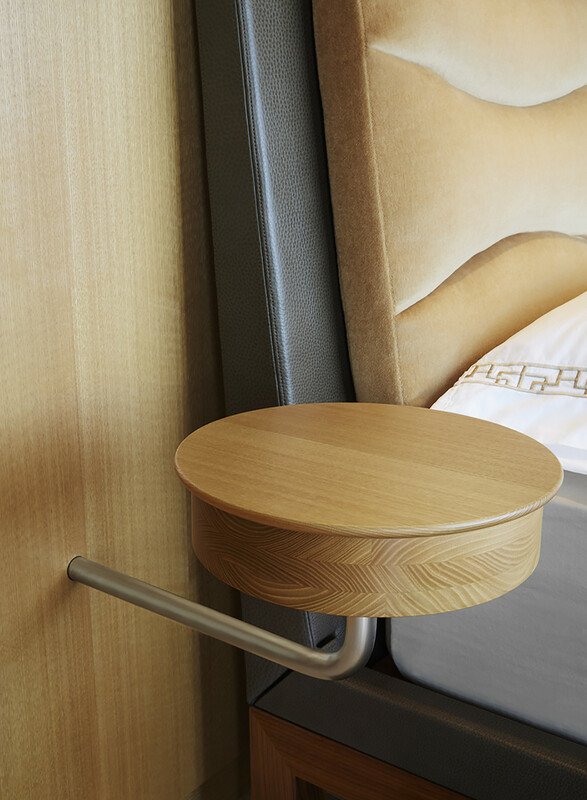 Located in a high-rise along Lake Michigan, the existing three bedroom apartment was converted into a spacious one bedroom with a convertible guest bedroom. 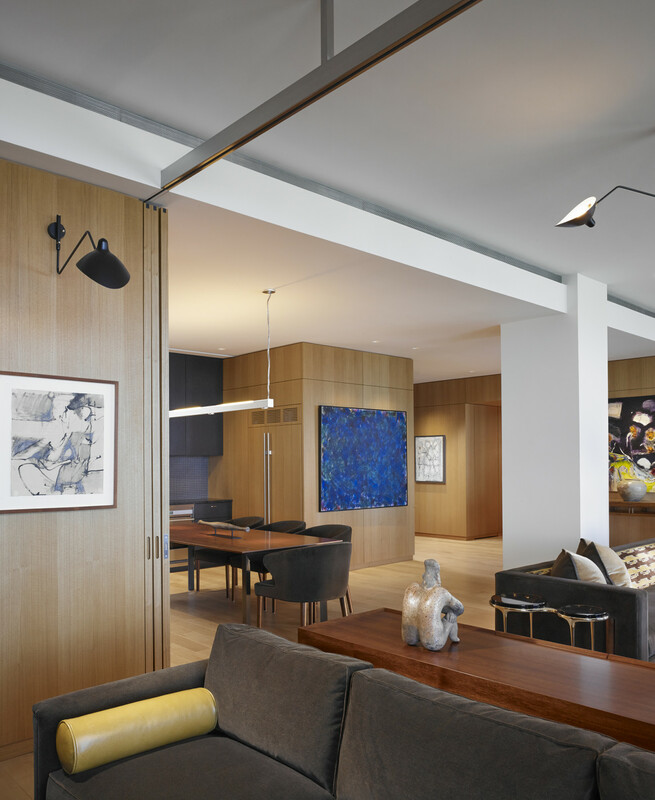 The design brings the circulation to the lake-side of the residence so that views to the lake are accessed throughout the entire apartment versus being restricted to specific rooms. 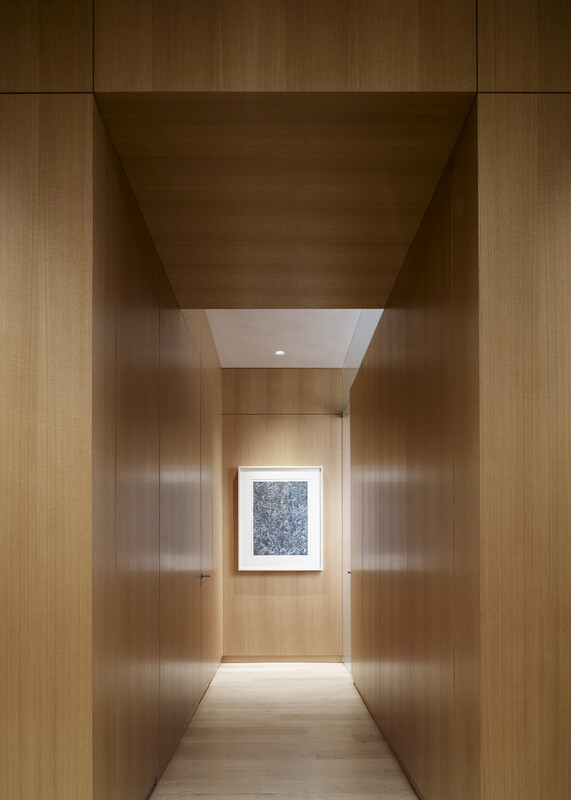 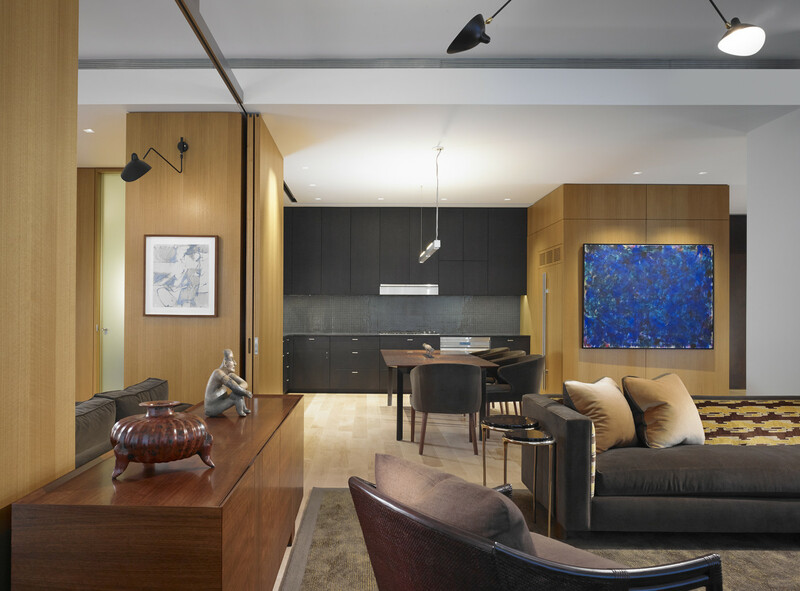 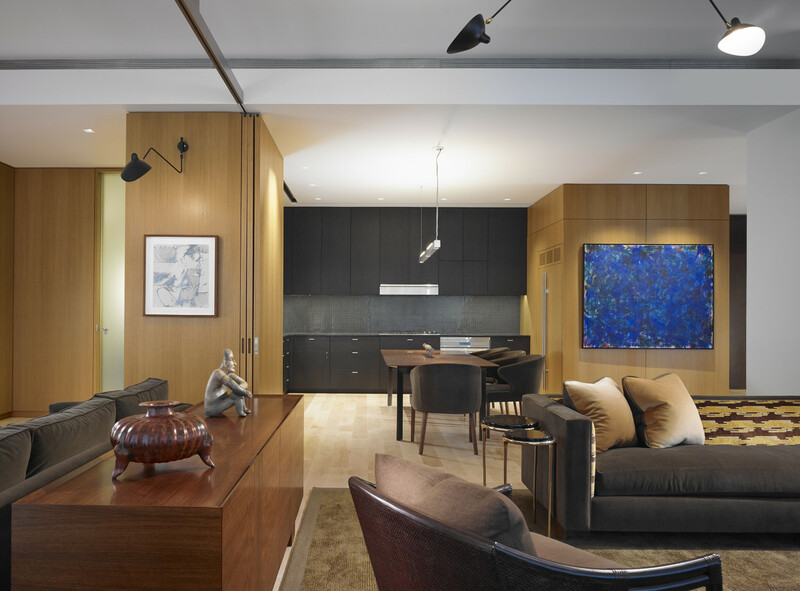 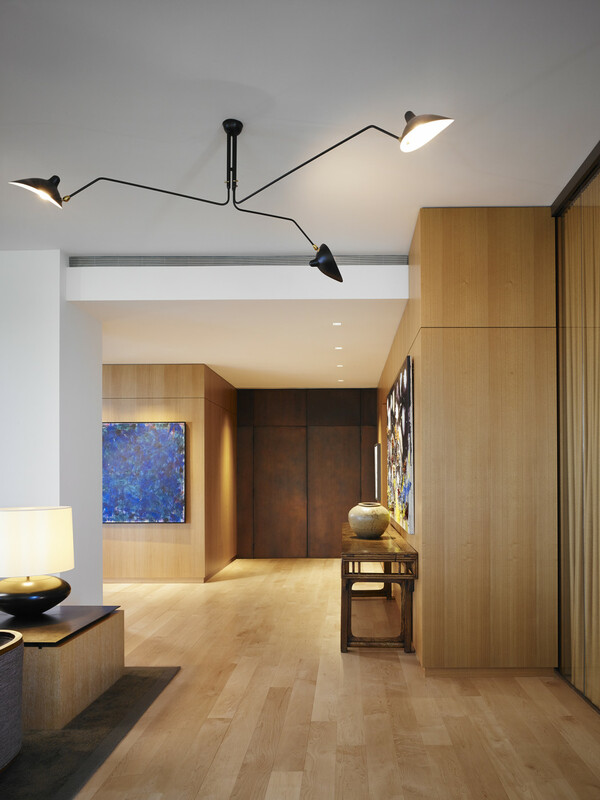 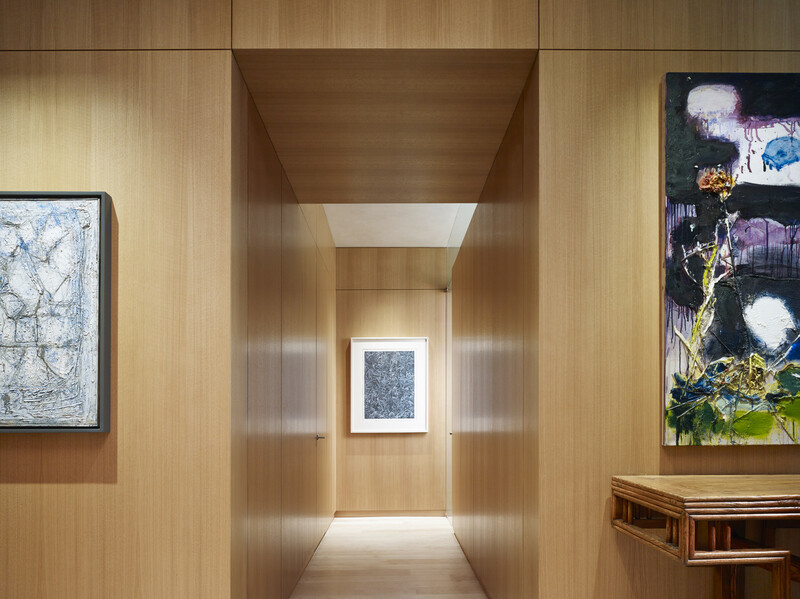 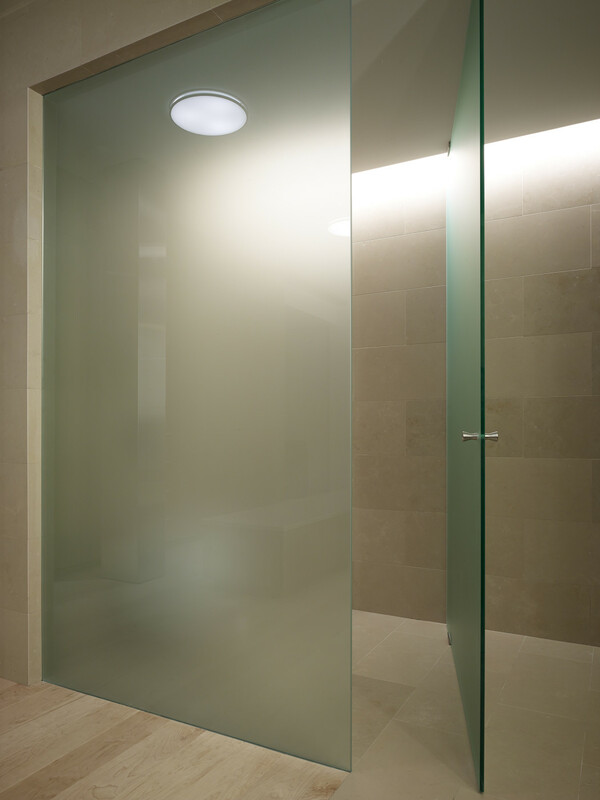 Rather than traditional opaque walls, spaces are defined by millwork and operable panels allowing the apartment to adapt for multiple functions.